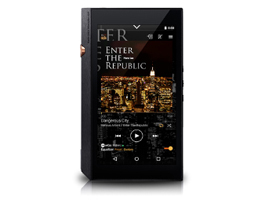 The XDP-300R supports all your current audio from MP3’s to streaming music from your favorite internet apps. With playback support for up to 11.2MHz DSD, 384kHz/24 bit PCM, FLAC, ALAC, WAV, AIFF, and MQA it is possible to enjoy many existing Hi-Res audio formats. Equipped with both 2.5 mm balanced output and 3.5 mm headphone output; audio can also be output via Micro USB-B/OTG digital output, and wireless output to connect the XDP-300R offers a wide selection of headphones and peripherals.